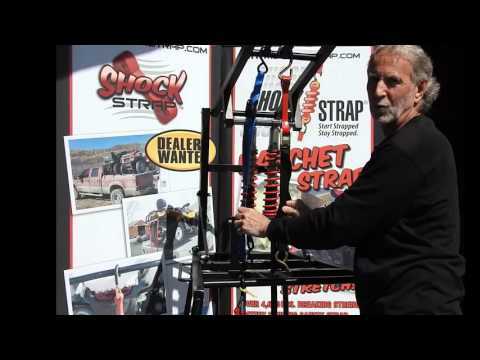 The Strap Latch will keep your hooks in place when you are strapping down your load. It is UV stabilized to last. Everyone has been frustrated when you place your hook on one side and go to the other to pull it tight, only to have the hook slip off. Strap Latch helps keep your tie down hook from slipping off. The Strap Latch is easy to stretch over the hook of a tie-down to prevent the hook from detaching due to a load shift. Safety – The Strap Latch helps keep the hook from coming off with securing your load. Dependable – Made from a plastic polymer that has a UV stabilizer in the formula.